Tapfiliate is cloud-based affiliate tracking software that enables you to create, track and optimize your own affiliate programs. The customer service was absolutely impeccable. Even with the time difference our support contact at Tapfiliate (Maria) was always quick to respond. She made light work of the issues we had and was clear and deliberate in her explanations. She walked our team through the entire integration process from start to finish, checking in frequently to offer additional assistance. If you are new to Affiliate Marketing like we are the level of support you'll receive from the Tapfiliate team will prove absolutely invaluable! The Onboarding process and Integration are simple, and for people like us who aren't technically savvy that was an important feature. Getting our program up and running as quick as possible, that was our goal and Tapfiliate helped us achieve that. Our company does not have a single individual on our team who is proficient in coding, so any problems that we had certainly arose form our own inadequacies. That being said, the coding requirement is negligible and you shouldn't have any problems getting the Tapfiliate software integrated and functioning in no time at all. Sign up for the Trial and see what you think, you won't be disappointed! Establishing a successful Affiliate Marketing program was what we set out to achieve and Tapfiliate has helped us do just that! The platform is gorgeous and intuitive, with clearly organized features and access to many helpful tools from extensive reporting to marketing materials to affiliate communication methods. We especially liked that we were able to set up multiple Affiliate Programs with varying requirements and rewards and switch seamlessly between them on the Dashboard. "Tapfiliate is a great affiliate software manager"
I’ve converted to Tapfiliate and have bed a great amount of success. This software is so easy to configure and use within a few days. Their ability to just port data from other sources is awesome. Not all data was able to be imported, such as customer address. The system should be a little more informative about what columns are available to be imported. Cost savings. We no longer need to pay for software we don’t dont use or need. 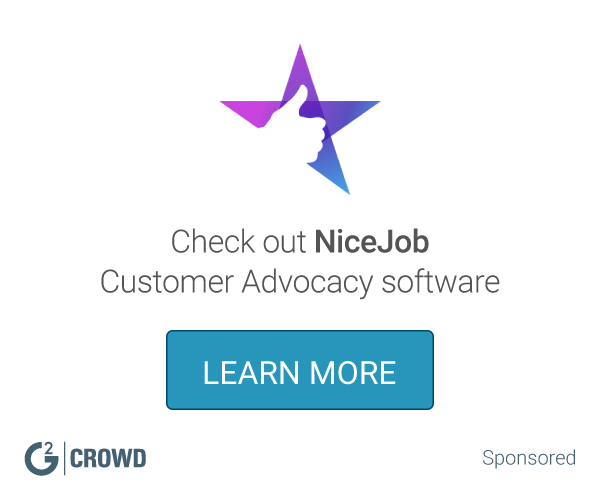 What Customer Advocacy solution do you use? The support is always ready to help :) I didn't have any experience with such a platform but the support guided me and answered all of my questions. They might take some time but they will always give you a detailed answer. Swagbucks is the Web's premier rewards and loyalty destination. AdvocateHub helps B2B marketers capture customer enthusiasm and use it to turbocharge marketing and sales efforts. Higher Logic is an industry leader in cloud-based community platforms, with over 25 million engaged members in more than 200,000 communities. Organizations worldwide use Higher Logic to bring like-minded people all together, by giving their community a home where they can share ideas, answer questions and stay connected. Annex offers a cloud customer loyalty program in a unified designed with social commerce solutions that work together to engage, delight, and reward customers. Queue is powerful viral advocacy platform to rapidly grow leads, fans, users and customers. Acquire New Customers & Increase Sales with a Referral Program Run a fully automated, customizable and easy to integrate referral program with ReferralCandy. Mention Me is a referral marketing solution designed to enable companies to supercharge word of mouth for fast and effective new customer acquisition. Ambassador empowers your marketing team to increase revenue by leveraging the power of recommendations. Their flexible referral marketing software automates the process of enrolling, tracking, rewarding and managing your most loyal customers, affiliates, partners and fans. Ambassadors open API also seamlessly integrates with existing technologies, enabling you to create a custom end-to-end experience that aligns with your brand. Turning enthusiastic customers into a powerful marketing force, driving recommendations & sales for leading B2B & B2C brands. HelloWorld (formerly ePrize) provides multi-channel interactive promotions and loyalty solutions for some of the world's biggest brands. Mobile, social media, and web campaigns. * We monitor all Tapfiliate reviews to prevent fraudulent reviews and keep review quality high. We do not post reviews by company employees or direct competitors. Validated reviews require the user to submit a screenshot of the product containing their user ID, in order to verify a user is an actual user of the product. Hi there! Are you looking to implement a solution like Tapfiliate?